As the WRC gets underway this weekend in the far-off and exotic surroundings of the French Alps, a more accessible alternative for home fans is the equally exotic Highland capital of Inverness. 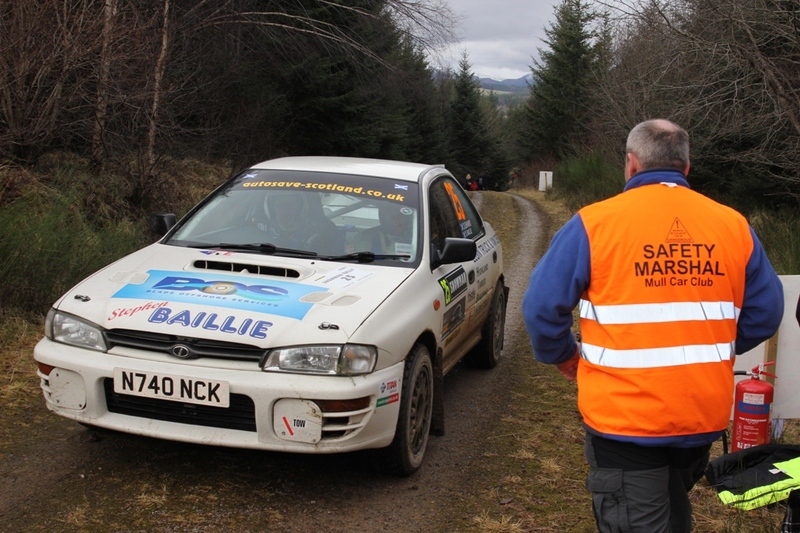 Our own world-class national championships get underway next month, with the opening rounds of the Scottish Rally Championship and the Scottish Tarmack Rally Championship. 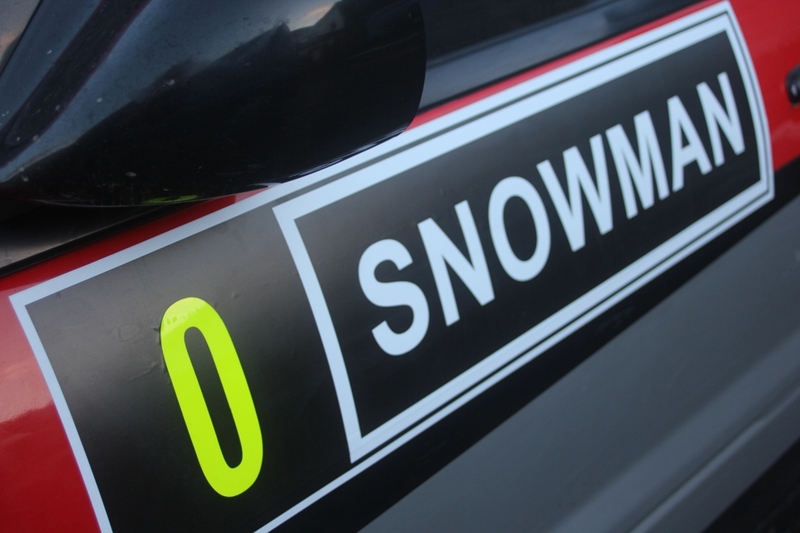 First to bite the grush is the Coogie Urquhart Snowman Rally on Saturday 9th Februally with entries officially closing tomorrow. That means tomorrow (Saturday 26th) is the last opperchancity to sit down, log on, and fill in your entry form so that you will be seeded in the entry list on merit and not tagged on at the back. At the moment, snow is not a big problem in the Highland forests, but then that is all part of the appeal of rallying, dealing with the prevailing conditions whether it be snow, rain or dust. The tarmac brigade also get underway next month with the opening round of their season at Knockhill on Sunday 24th of Februally. close and personal with those who participate, but without the expense and anxiety. 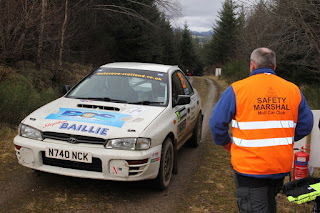 Marshalling provides the chance to get out in the fresh air and fill your nostrils with the natural scent of pine, not to mention smoking oil, scorched clutches and red hot brakes, but you also get the chance to meet up with old pals and make new like-minded friends. What's more, such an activity provides the ideal conditions for observing Scottish wildlife in the raw such as deer, Hie'lan' coos and the more colourful and hardy wild species known as anorakium claddius speccies. In fact you can meet more wildlife than you could shake a stick at. For instance in the spring and autumn months, Scotland's most fearsome creature is mighty prevalent in the woods- the midge. Not just one or a few, but millions of the blighters. Where else can you witness such delights? Experience Scotland in all its glory , its scenery in all its splendour, and its weather in all its challenges. To put it another way, are you hard enough to be a Marshal? 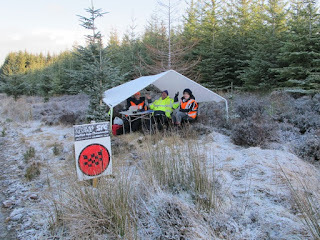 To find out even more about marshalling generally, have a look at the Motor Sport UK website. It doesn't cost anything to sign up and you get a FREE pack of essentials.